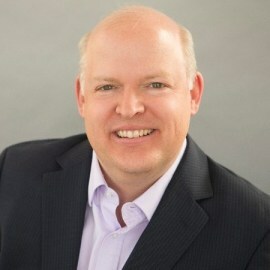 Rich Meszaros is a managing director in Accenture Mobility, part of Accenture Digital and the global lead for Connected Commerce in the Internet of Things (IoT) practice. He specializes in designing, enabling and optimizing integrated commerce experiences with smart devices leveraging data to enhance and personalize the user experience while reducing payment friction. Over the last three years, Rich has led the emerging blockchain practice within Accenture Digital. He works with clients to identify and explore innovative use cases for the application of blockchain, distributed ledgers and cryptocurrencies to design tomorrow’s emerging commerce experience across industries. Rich has over 20 years of industry experience in managing consumer products for global marketplaces. He positions companies for accelerated, sustainable growth by focusing on customer needs, paired with strong analytical, collaborative and decisive leadership. Rich is a forerunner in creating innovative products, transformational marketing programs, and world-class online and mobile transactional sites. For the past 15 years, Rich has focused on designing, building and growing digital businesses as a general manager for global brands including U.S. Bank, MoneyGram International and Think Finance. Rich holds a bachelor’s degree from Marquette University in Economics and Finance, an MBA with emphasis in marketing and strategic management from the Carlson School of Management at the University of Minnesota, and is a graduate of the Consumer Bankers Association Graduate School of Retail Bank Management. Rich currently resides in the Dallas-Ft Worth, Texas area.